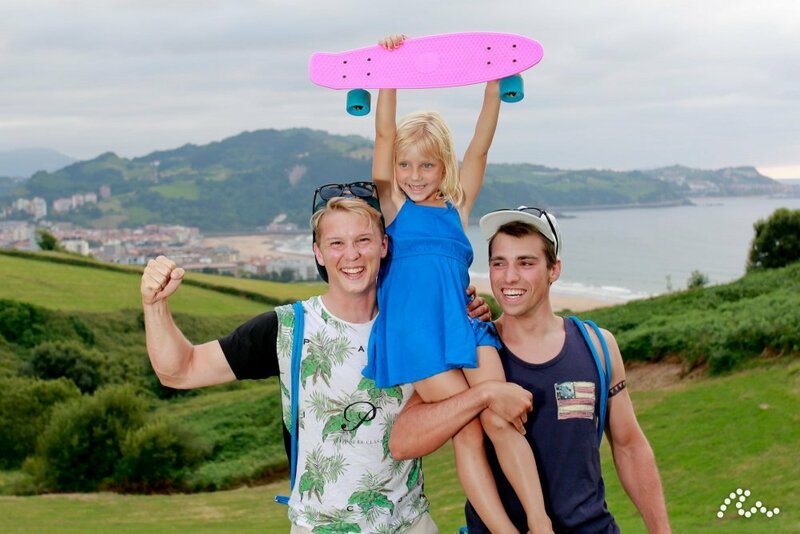 Family surfing and travel are words that go together well. Just because you settled down and had a family does not mean that your dreams of chasing the best waves in the world are over. Sure, you will not be able to camp out all night on the beach, drinking local beers and waiting for sunrise and the perfect wave, but there is no need to put your board in storage and kiss your salt days goodbye. 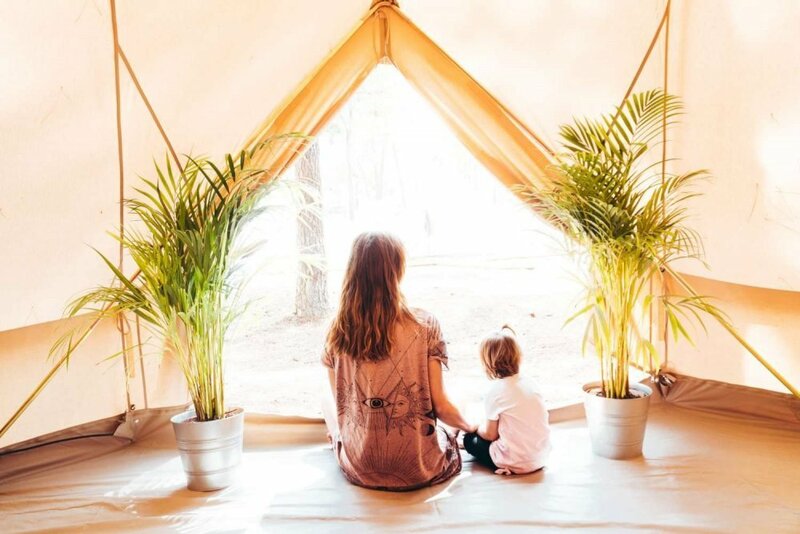 There are plenty of ways to globetrot with your partner and children where you can get the best of both worlds; some awesome waves and some bonding time. If you have not gotten your kiddos into surfing, think about it. Once they start walking they can start catching waves and as long as you start them on gentle water they will grow to love the ocean just as much as you do. 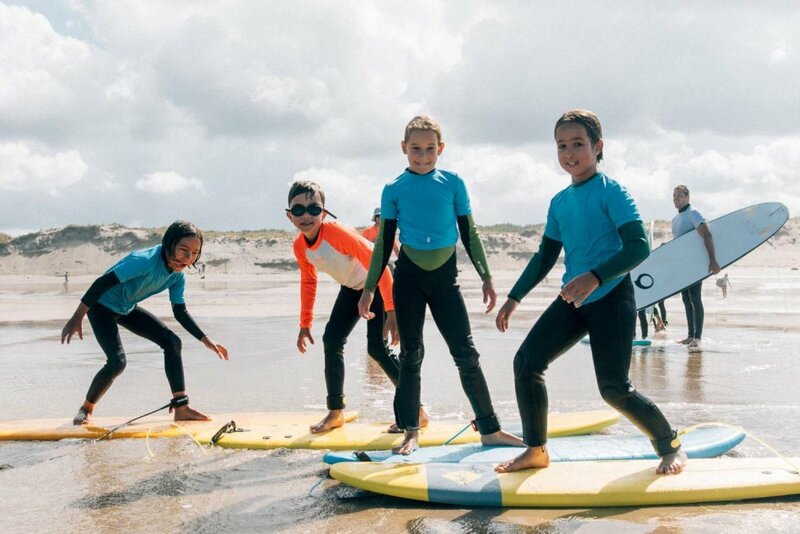 When hitting the road with your partner and children for family surfing and travel times you’ll wind to keep a few things in mind to make sure that everyone has the best time possible. The days of hitting the road with a knapsack on your back and a passport in your pocket are over. 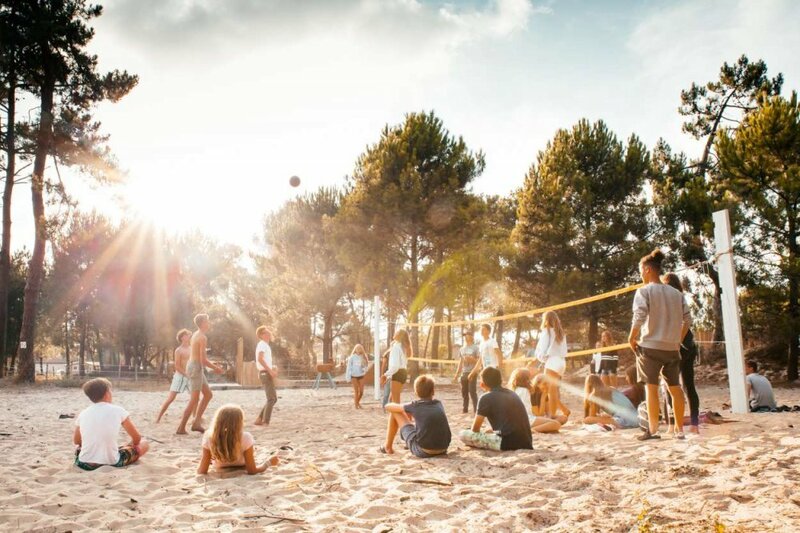 For the best child-friendly vacations, you will need to plan ahead. The objective is to maximize both your surf time and quality time. Your partner and children will not appreciate it if you zone out on the beach all day, waiting to catch those perfect waves. Do your due diligence and find locations that have a steady stream of surfable waves. Also, it is important to keep the needs of your partner and children in mind. Just because you’re itching to get to a place with the perfect waves, doesn’t mean that they don’t have qualifications for the perfect vacation. If you take your brood to a remote place with a terrible beach in a malarial zone just because there are epic waves, you might get served with some divorce papers once the vacation is over. Life is all about compromise, right? So compromise! Is there a spa or other activities nearby to keep them occupied? How will you split your time between surf and your partner? If your partner loves the waves as much as you do, this is a non-issue but you should still keep these other activities in mind. There is only so much salt-water some people can take! Is the beach nice, sandy and supervised? Are there places they can easily get out of the sun? If they are learning to surf, are the waves at a beginner level? What’s the marine life situation? Is it safe for kiddos? Plan ahead and keep these things in mind. You will be in for a great Family surfing vacation! There are a number of different destinations where you can balance that family surfing and travel time. We’ve compiled a list of a few of our favourites, as well as reasons they rock for vacations with your clan. This is where it all began in France! In 1950 people started catching waves in this quaint Basque city and it has exploded ever since. 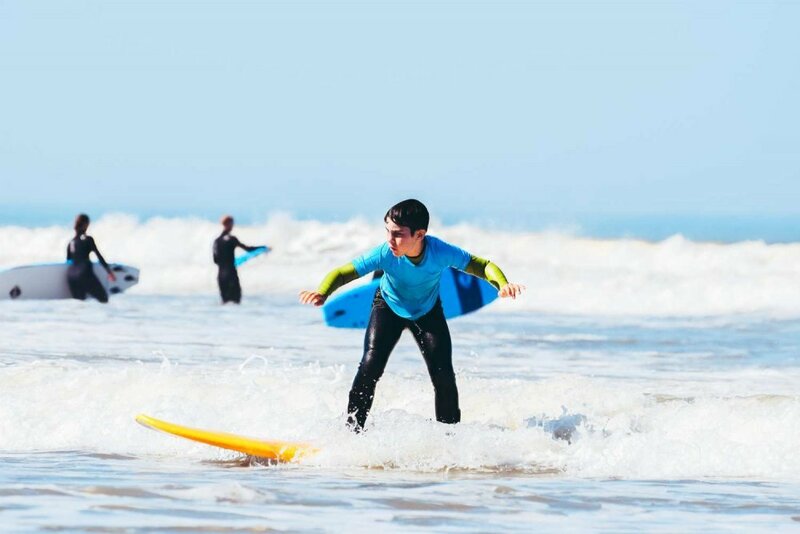 The sea is gorgeous and has plenty of waves for beginners, novices and experts alike! After a day of sun and sea, your family can wander through the charming city. 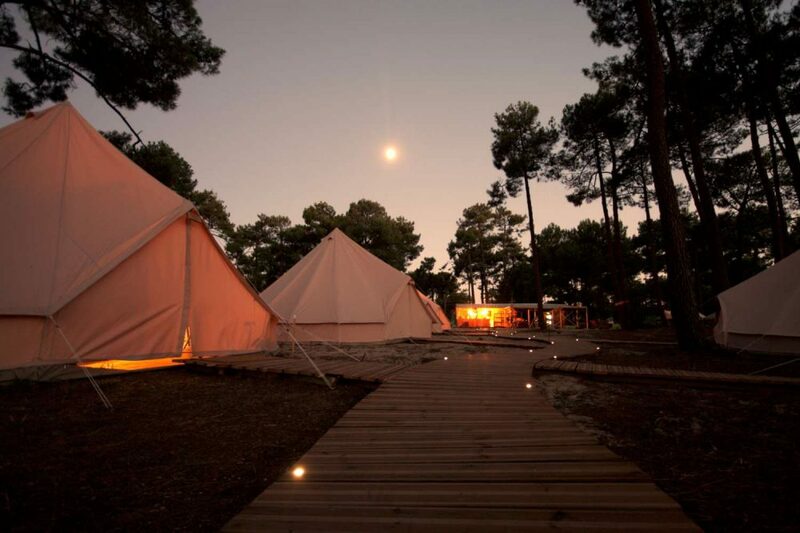 If you like France, you can visit our camping near Bordeaux. Biarritz has waves for all levels so nobody in your clan will feel left out. This lovely city has plenty to explore, so after a day hitting the waves you can stroll around and admire the architecture. There are plenty of places to stay in Biarritz that cater to all budgets. Guincho surf beach is one of the most famous in the world and has plenty of awesome waves that are perfect for you and the kids! Plus, there are plenty of amazing things to see in close proximity to the beach, like Lisbon or Sintra Palace. Cascais is a great place to go if you want to combine sightseeing with getting your surf on. SUjusansa surf house in Portugal . Guincho Beach in Cascais is one of the most incredible surf destinations in the world. You can easily combine your surf vacation with sightseeing because there are many interesting things in close proximity. The waves in Cascais are perfect for all levels. Unlike some beaches where the waves are unpredictable, Somo Beach in Spain has tons of swells that come on like clockwork. Sure, you will not find monster waves at Somo Beach, but it is a great place to teach your kids how to love sea and surf! Plus, the beach itself is absolutely gorgeous. 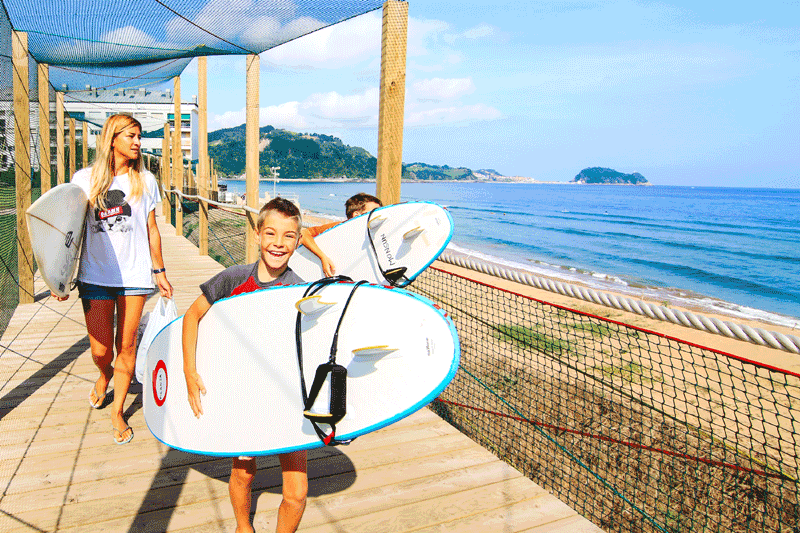 Somo Beach is a great place to teach your kids how to surf. The waves on Somo Beach are consistently good. The beach itself is absolutely gorgeous, so your clan will not have any trouble spending a pleasant day at the beach. Traveling with children is a little tricker than going solo. Make your experience a little less stressful by keeping some key pointers in mind. Plan ahead for long plane rides- bring snacks, games, iPads with kid friendly movies and books. Do not let them pack their own bags, or at least double check when they have finished. Keep them hydrated in hot climates. Depending on where you are going you will need to educate your children on safe practices in that country. For example, they can’t drink the water in Indonesia. Children should be taught how to read and recognize the flags at different beaches indicating rough weather, marine life, etc… Any children who are learning to surf should have a healthy respect for the sea and the creature in it and you should monitor them closely for signs of fatigue. The best tip for traveling with your partner and children, have fun! This is a great way to involve them in your passion so make the absolute best of it. With a little planning, you will enjoy every second.